Alsace is a wonderful region in northeastern France. The confluence of German and French wine and cuisine. Beautiful gingerbread-style houses. I’ve been there once and would love to go again. But in case you are like me, longing to visit, or have yet to visit, you can experience the cuisine of Alsace at Bistro Pastis till the end of June. Here is their special menu for me and you. Although there are no wine pairings shown, classic Alsatian wines are made from Pinot Noir, Sylvaner, Pinot Blanc, Riesling, Muscat d’Alsace, Pinot Gris and Gewurztraminer. 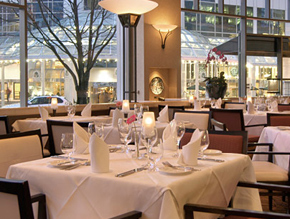 You can make a reservation to Bistro Pastis on OpenTable at this link. I think the oysters that evening were from Stellar Bay. Maybe someone looking at the picture can tell me for sure which variety of oyster I enjoyed. The oysters were plump and had a nice sea brine flavour. My favourite dish, and the most creative was the fresh goats cheese and buttermilk mousse. Lots of flavours and texture. The mousse had a healthy dose of citrus. The duck breast was done to perfection. Nicely pink, but I wish there was more than the 4 small cubes. My glass of wine that I paired with these 3 courses was the Joie Farm, A Noble Blend 2011, a white wine blend of Riesling, Gewurztraminer, Pinot Blanc, Pinot Auxerrios, and Schoenberger. Very aromatic and nice round mouthfeel. Lychee, flowers, and citrus flavours. A nice wine, and a nice pairing. Overall I’d recommend going to Alta Bistro as their food is executed very nicely, but maybe do not go there if you are overly hungry. The current Decanter World Wine Awards 2012 were recently awarded. We all want to know the Gold Medal wines so we can seek them out in our local bottle shop. 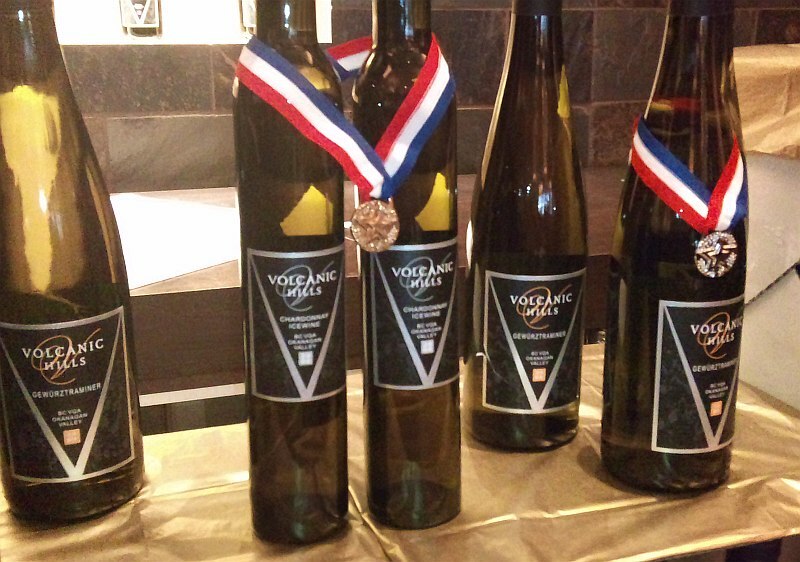 But what I want to know especially, is which Canadian wineries won a Gold Medal? Here is the answer. Congratulations to both Ontario and British Columbia wineries! Here is the link to find out all the Gold Medal winners. Enjoy! There are less than 2 weeks to Christmas now. Maybe you are starting to think about Christmas gifts, or inviting family and friends over to your place for a nice dinner, or you received a dinner invitation? What wines to gift or serve? I went through the list of all the wines I tasted in 2011 and have a few suggestions for you. Perrier Jouet Grand Brut N/V, France. This is also a blend of Pinot Noir and Chardonnay. Pale lemon in colour. Light lees and toast on the nose. Light body with apples and white fruit. Small bubbles with lower acidity. I really enjoyed this one in part due to the lower acidity which made this Champagne very easy to drink on its own. Bastianich Flor Prosecco, Italy ($19.99). A delightful wine with melon and lychee aromas. Off dry, light body, with cinnamon, citrus and peach flavours. Small bubble. This is such a fun wine. Start a party with this wine. Champagne de Venoge Cordon Bleu Brut Select NV, France ($62.99). 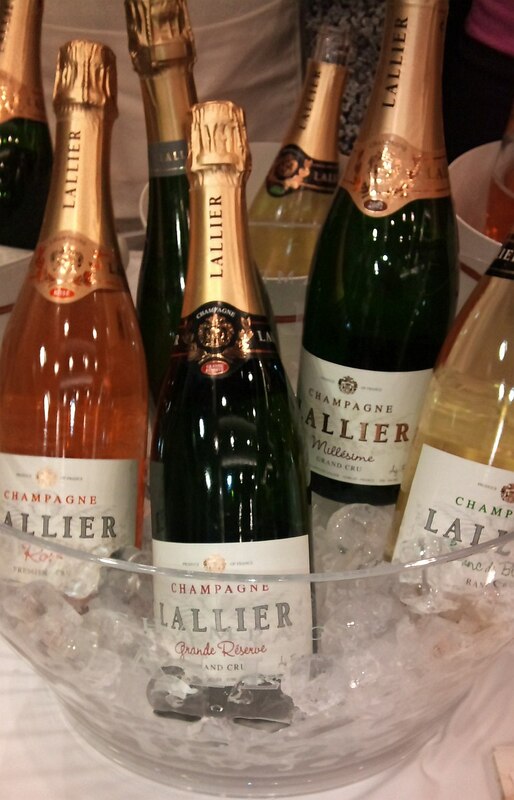 This Champagne is a blend of 2/3 PinotNoir and Pinot Meunier (both red grapes), and 1/3 Chardonnay. Light lemon in colour. Nice medium toasty nose. Medium acidity and body. Citrus, some spice and toasty flavours on the palate. 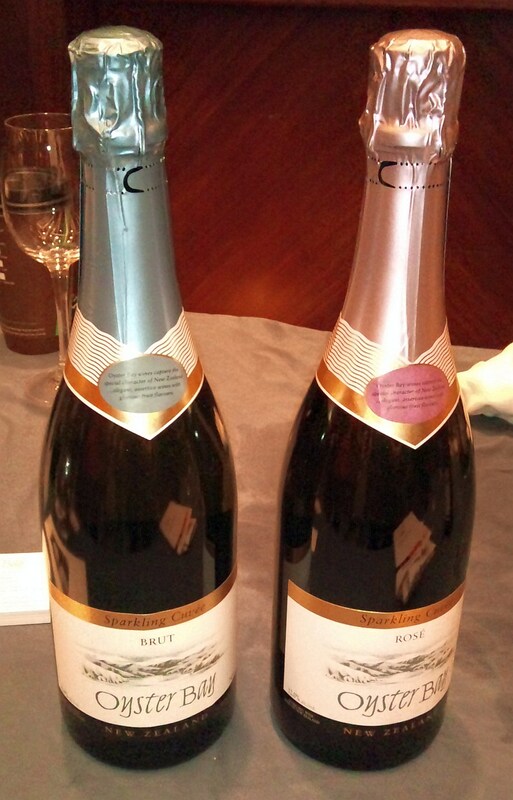 Oyster Bay Sparkling Cuvee Brut N/V, New Zealand ($24.99). I was really surprised by this wine. It won me over with it’s fresh fruit flavours. Light citrus and stone fruit on the nose. Lots of flavour in your mouth with citrus, lime, kiwi fruit, and herbal flavours. Small bubble with medium acidity. Schramsberg Vineyards Blanc de Blanc, 2008, California. Light lemon colour. Vanilla and spice on the nose. High acid with small bubbles. Lemons and green apples greet your tongue. A very nice, elegant dry sparkling wine. Beringer Private Reserve Chardonnay 2009, California. This is a single vineyard wine. Medium lemon in colour with tropical fruit and some toasty aromas. Medium body and very soft mouth feel (really silky). Some vanilla and tropical fruit flavours. Really nice. Waterstone Chardonnay, 2009, California. This is my favourite white wine of the night. Not a typical Napa Chardonnay. This wine had a medium pear colour. Vanilla and bartlett pear aromas. Medium body, soft and round mouthfeel. Cinnamon and tropical fruit flavours with light acidity. Nice and fruity, some vanilla with a long dry finish. 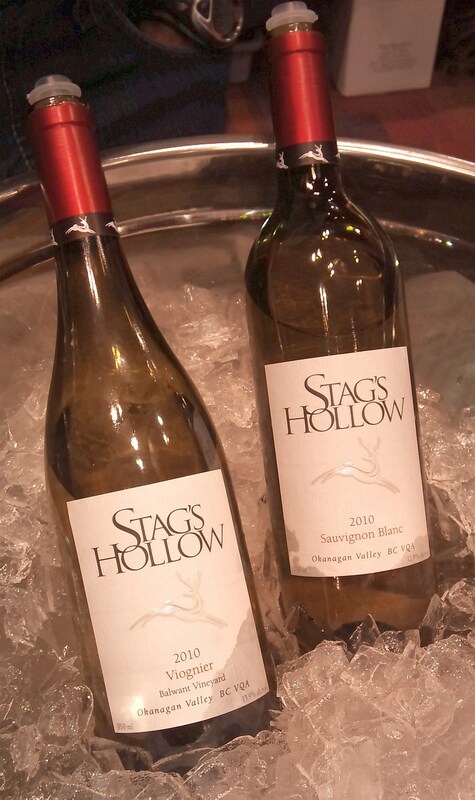 Stags Hollow Viognier 2010, BC. One of my favourite wines of the tasting. This Viognier was pale in colour with some sweetness, orange, and flower aromas. Very pretty. Tropical fruit and cinnamon flavours. Medium body. Tantalus Vineyards Riesling 2010, BC. Their Riesling is always on my favourite list. This one is no exception. It has light lemon, lychee and flowers on the nose. Off dry, with high acidity to make your mouth water for more. Red apples and lemon flavours. Excitement in a glass. Thornhaven Estates Winery Pinot Gris 2010, BC. I think there is something specific about the terroir for this wine that makes this Pinot Gris have a wonderful grapefruit nose and flavour. I haven’t seen this in other Okanagan Pinot Gris. Pale lemon in colour with red grapefruit nose. Flowery with citrus, grapefruit flavours. Yum. Graffigna Grand Reserve Torrontes 2010 (Argentina). Torrontes is the signature white grape of Argentina. Very aromatic and a good change from Gewurztraimer or Viognier. Light lemon coloured. Lychee and perfumy nose. Light body, round, with medium acidity. Lychee, apricot and cinnamon flavours. Very tasty with a long spicy finish. Pfaffenheim Steinert Grand Cru Gewurztraminer 2007 (France). 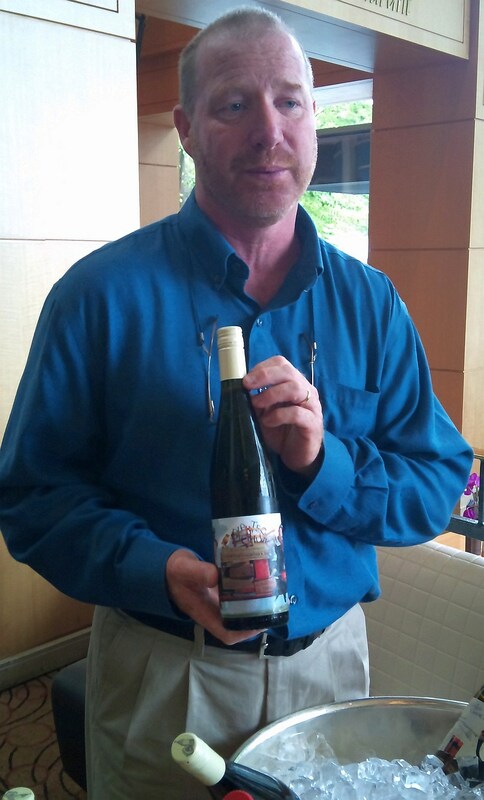 I love Alsatian wines, and was really looking forward to Pfaffenheim’s wines. Medium lemon colour. Wonderful lychee nose with a slight touch of sweet spice. Full body. Off dry with lower acidity. Round mouthfeel with lychee, apricot and flowery flavours. Very nice. Kim Crawford Small Parcel “The-Rise-and-Shine” Creek Central Otago Pinot Noir 2007, New Zealand. Central Otago, is inland in the South Island. The cooler climate allows these grapes have a long hang time and smaller berries, which gives a higher skin to pulp ratio, and more intense, riper, fruit flavours. Medium purple in the glass with ripe purple fruit and vanilla aromas. Ripe fruit, cassis, plums and vanilla on the palate. Medium body and medium length. Very nice. Vina Santa Rita Pehuen Carmenere 2005, Chile. 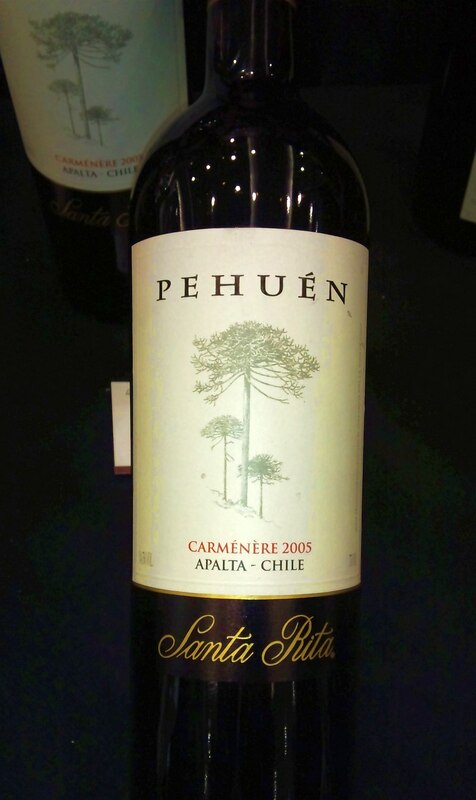 Pehuen Carmenere is a premium wine from Vina Santa Rita. Opaque purple in the glass. Dark fruit nose with a whiff of capsicum. Full bodied but with soft tannins. Ripe black cherries, vanilla and spice on the palate. A very long length. Here is a Carmenere you should try. Dusted Valley Grenache, Columbia Valley 2009, Washington. This was such a wonderful wine. Just the right balance of fruit, tannins, and acidity. The wine was medium garnet in colour. Cherry, vanilla and smoky aromas. Raspberry, cherry, and vanilla on the palate. Medium bodied with a raspberry finish. 1884 Reservado Cabernet Sauvignon 2009, Argentina ($16.99). This was my red wine deal of the wine tasting. Drink now. Raspberry and cocoa on the nose. Full body with full ripe cherries and raspberries. Juicy! Long finish. Desert Hills Syrah 2007, BC. Another one of my favourites of the tasting. Almost opaque ruby in colour. Smoky, meaty, and dark fruit nose. Full body, dry tannins, with dark fruit spice and vanilla flavours. Enjoy this big wine with a nice roast over the winter. Ogier Crozes Hermitage, Les Brunnelles 2008, France ($25.99). This is a Rhone Valley wine. The Rhone Valley produces some fabulous Syrah, and this is one of them. I really liked the aromas of this wine of cassis and plums. Full body with cassis, raspberry, cherry and oak flavours. Low tannins helped make this wine very approachable. Finca Las Moras Intis Malbec 2010, Argentina. This wine was the surprise wine of the evening. It is priced at $8.99, and over delivers. Pale ruby colour. Light aromas of grilled sausage and dark fruit. Medium plus body with medium acidity. Vanilla, cherry, raspberry and sausage flavours all together. Lots of nice flavours. Dry with soft tannins. Sogrape Vinhos Ferreira 20-Year-Old Duque de Braganca (Portugal). Light tawny colour in the glass. Ripe sweet fruit and Malmsey Madeira nose. Round mouthfeel, medium sweetness. Apples, plums, chocolate and spice. Nice. Fonseca N/V Terra Prima Organic Port ($31.99). Rich black fruit nose. Medium body in your mouth. Spicy with plums, cherries, and chocolate flavours. Medium sweetness. Very nice. Mount Baker Vineyards Late Harvest Viognier 2007, Washington (US$20 for a half bottle). Deep lemon in colour. Pretty nose with peaches, oranges and honey. Unctus in your mouth. Sweet with honey, honeydew melon, and peach flavours. Good acidity to balance this wine. A wonderful wine. Highly recommended to top off a nice meal with family or friends. Fonseca 20 Year Old Tawny Port, Portugal ($63.99). A tawny port is aged in wooden barrels, which exposes the wine to oxygen causing oxidation. As a result, these wines gradually turn to a golden-brown colour. The exposure to oxygen also imparts “nutty” flavours to the wine. This wine had caramel and roses aromas in the glass. Amazing flavour with sweet spices, nuttiness and butterscotch. Sweet but dry with a long length. I REALLY liked this wine. There are many more in my archives, so please check there as well for a specific varietal or style. www.mywinepal.com and of course the blog right here! Cheers and Happy Holidays to all my friends, near and far. Wine and cheese. Always an enjoyable time when paired together. Today I looked forward to going to Herons Restaurant in Fairmont Waterfront Hotel in downtown Vancouver to try a flight of wines from Blasted Church winery and a pairing of cheeses from The Farm House Natural Cheeses and cheese from the Kootenays and from Salt Spring Island. You too can enjoy Sip + Savour because it takes place daily from 2pm to 5pm (excluding Sundays) at a cost of just $35.95. Walking into Herons, I looked for an empty wine glass and a table with some wines to taste. With my luck, the table I picked had the new wine maker from Blasted Church, Mr. Mark Wendenburg, pouring wine. Mark Wendenburg left Sumac Ridge Winery after working with them for18 years. Mark was a born and raised Penticton, and has travelled around the world, getting trained in Germany, and then making wines in New Zealand and Australia before settling back in the Okanagan. Mark is a very friendly person and I enjoyed speaking with him for a long time about wine making style, terroir, and more. The white wines I tasted were all fresh and fruit forward. Perfect for the summer, which I am told should arrive soon! Pinot Gris 2010 ($19.99). I was told by Mark that their Pinot Gris always has a bit of Viognier blended in. This vintage had 8% added to the Pinot Gris. Pale lemon in colour. Light peach and apple aromas. High acidity but still round mouth feel. Medium body. Flavours of ripe tropical fruits. Chardonnay Musque 2010 ($17.99). The Chardonnay Musque grape is a unique clone of Chardonnay that was pioneered in the Niagara Peninsula by Château des Charmes’ founder Paul Bosc. It has the Muscat character, which is very aromatic and an aroma of oranges. This wine was pale lemon in colour. Very aromatic of oranges and flowers. Medium body, dry and medium acidity. Juicy fruits of lemon and tropical fruit on the palate, also a bit of vanilla. A nice long, dry finish. Mixed Blessings 2010 ($17.99). This is the third vintage of this wine, and each vintage is made of a unique blend of white grapes. This vintage was made with Riesling and Gewurztraminer. Nice aromatic nose. Green and stone fruits. Off dry with a slight green, herbal flavour. Light body with medium acidity and light spice to finish. Nice. Gewurztraminer 2010 ($16.99). Pale lemon in the glass. Flowers and lychee greet your nose. High acidity with flowers,lychee and bonbon flavours. Light body and has a nice balance of roundness with acidity in your mouth. Another nice wine! Hatfield’s Fuse 2010 ($17.99). This is a blend of white grapes including Pinot Gris and Gewurztraminer. Light lychee and herbal nose. Round mouth feel with a nice balance of acidity. Juicy fruit gum flavour. Blasted Church has a wide range of reds from rose and lighter bodied Pinot Noir, up to a full bodied Bordeaux Blend. Rose 2010 ($17.99). This rose is a blend of Cabernet Sauvignon, Merlot and Cabernet Franc. Usually I expect a single varietal, like Pinot Noir or Merlot, so I was very interested to taste this rose. Very pale cherry colour. Nice strawberry aromas. Raspberry leaf, strawberry, and capsicum flavours. High acidity and spicy on your palate. Light body and long length. This wine packs a punch with 14.9% alcohol, so beware as you sip this one on the patio. Pinot Noir 2009 ($24.99). I am a Pinot Noir fan and I think that the Okanagan produces some nice Pinot Noir wines. This wine was a bit Burgundian in style. Pale cherry colour, with a smoky, earthy nose. Between a light and medium body with more smokiness and earthiness on the palate, along with cherries. Low tannins with medium acidity. Dry with medium length. Cabernet Sauvignon / Merlot ($25.99). Deep garnet in colour. Ripe, dark fruit, vanilla, capsicum and pencil lead aromas. Medium body round and soft in your mouth with juicy ripe fruits, cherries and vanilla. Also a bit on spiciness on the finish. Long length. This wine tastes sweet, but it is just the juiciness of the fruit. Nice. Nothing Sacred 2008 ($39.99). I’m not sure why the name, but the label shows a dead goat with it’s legs up in the air! This is a premium Bordeaux blend comprised of Cabernet Sauvignon, Merlot, and Cabernet Franc. Each parcel of fruit was processed and vinified separately. After vinification, the wines went into their finest oak barrels and aged separately until a final blend was determined. Deep garnet in the glass. Ripe dark fruit, vanilla and dark chocolate nose. Full body with cassis, plums, and opulent vanilla flavours. Dry with medium tannins and soft acid. Try this wine with a steak on your barbeque this long weekend. To pair with several of Blasted Church’s wines were artisan cheese by The Farm House Natural Cheeses, plus an Alpindon cheese from the Kootenay’s and a “Beddis Blue” from Moonstruck Organic Cheese on Salt Spring Island. 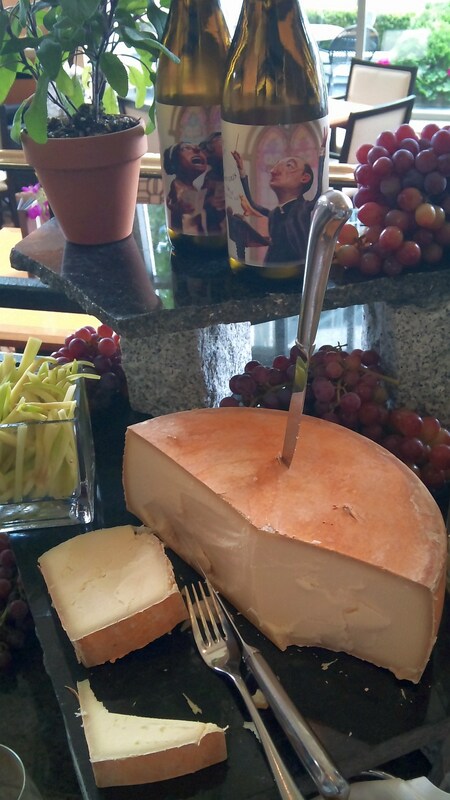 The Alpindon cheese was paired with the Pinot Gris. This is a hard cheese, slightly creamy and salty, with a bit of crunchiness to it. A bit of pungency but still quite mild for most people. It went nicely with the pinot gris. The Farm House Natural Cheeses‘ Farm House cheddar was paired with the Chardonnnay Musque. This cheddar felt medium aged to me with some nice nuttiness, a bit of cheddar sharpness, and low in salt. It is hard for a cheddar not to pair nicely with any wine, and this one matched well. A drop of sweet chutney was added to the cheese so you had some sweet, sharp, nutty, and salty flavours to go with the Chardonnay Musque. I spoke with I believe Debra Amrein-Boyes, who is one of only twelve people in western Canada and the US who has been inducted into the prestigious French Cheese Guild, the “Guilde des Fromagers Confrerie de Saint-Uguzon“. I was very interested to hear how they made one of their blue cheeses, and her description of their camembert cheese. 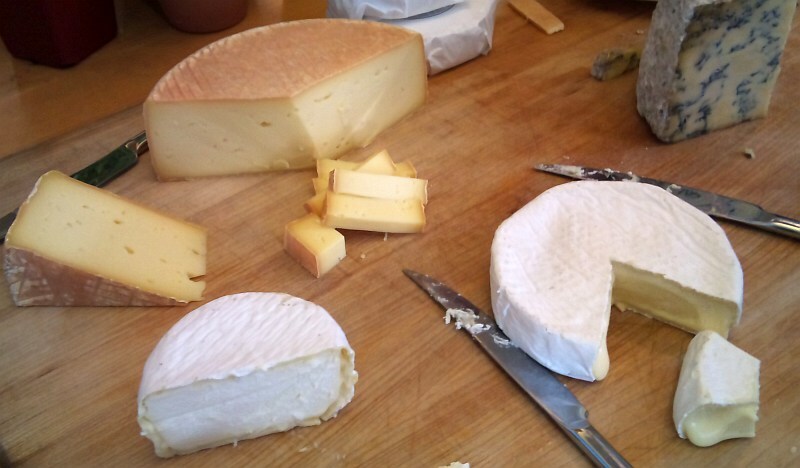 They are located in Agassiz, BC, so I hope to make a pilgrimage to their Fromagerie before the summer is out, see her contented cows and try more of her fabulous cheeses. The last cheese paired was the “Beddis Blue” from Moonstruck Organic Cheese onSalt Spring Island. Very creamy with a mild bite. A drop of honey made by bees kept on the roof of the Fairmont Waterfront hotel, was added to this blue cheese. It was a very interesting flavour combination. 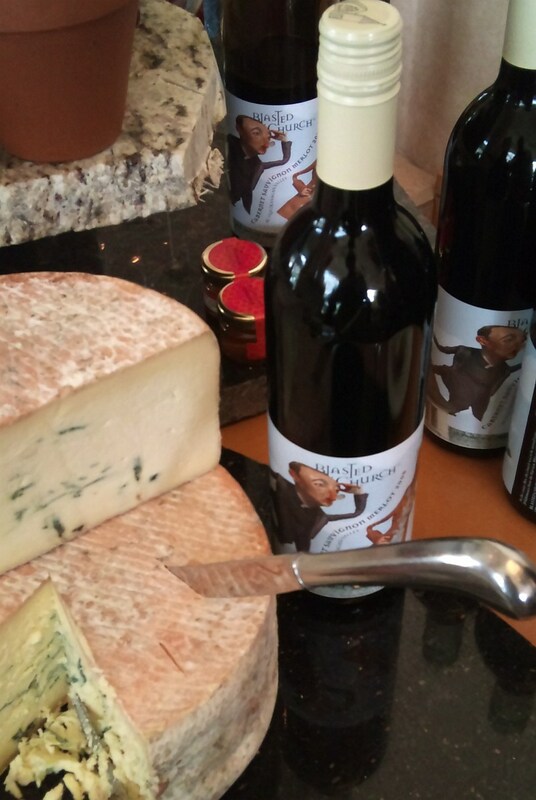 I’ve never mixed honey and blue cheese, but it works and paired nicely with the fruitiness and acidity in the Cabernet Merlot blend. If you are a fan of bees and honey, the Fairmont Waterfront hotel does offer their guests a guided Herb Garden & Honeybee Tour. Also if you are a chocolate fan, try the hotel’s honey truffles, the “Bee’s Knees”. The truffles, created in partnership with British Columbia’s legendary chocolatier, Rogers’ Chocolates, are offered in milk and dark chocolate and feature flavour notes of butterscotch, vanilla and cinnamon. Have a great summer, enjoying some wine and cheese on your patio! I hope you are having a wonderful Easter weekend. 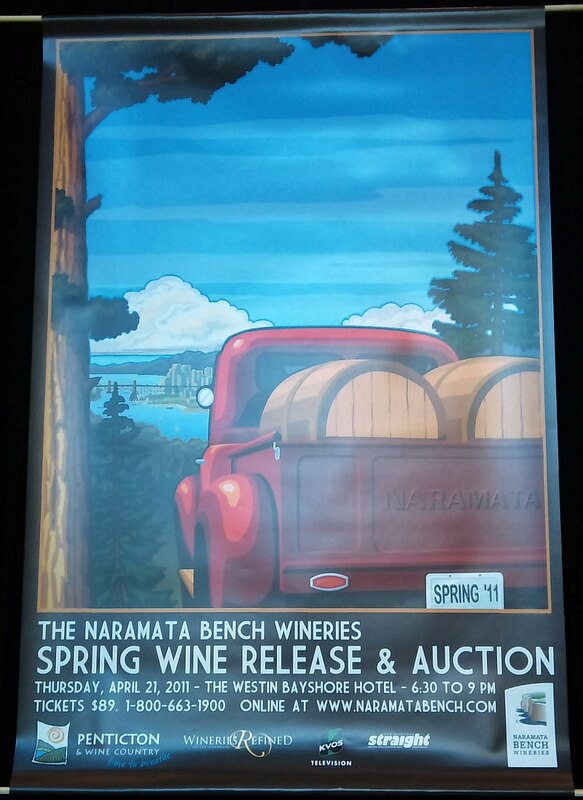 My Easter weekend started with the Naramata Bench Wineries 2011 Spring Wine Release. Eighteen wineries from the Naramata Bench were represented. 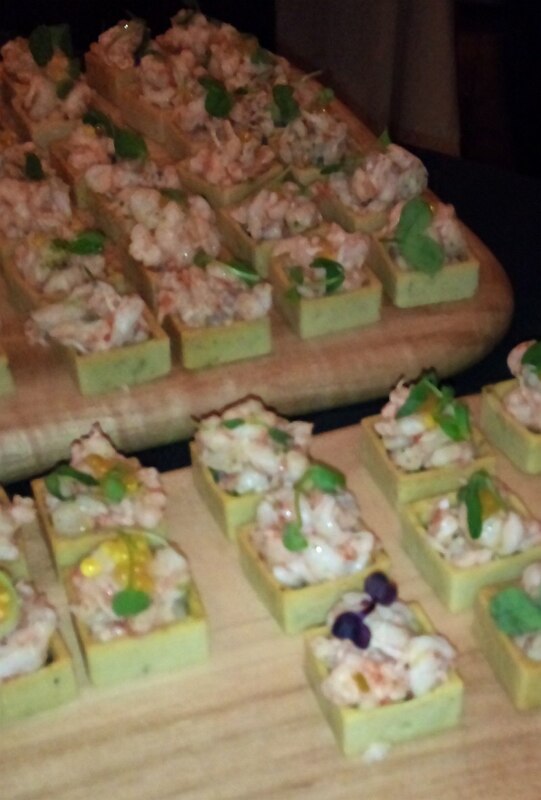 But also attending were 13 Vancouver area restaurants, pairing an appetizer or two with some of the wines. A very nice touch. Most people have food and wine together, so why not at a tasting? Another nice touch is that most of the wineries brought a barrel of one of their yet-to-be released wines, and anyone who asked could get a barrel sample taste. Where and what is the Naramata Bench? This is a raised long, relatively narrow strip of level or gently inclined land that is bounded by distinctly steeper slopes above and below it. For the Naramata Bench, the area below it is Okanagan Lake. As the lake is so close the water helps to moderate the temperature for the grapes. The Bench is located on the eastern side of the lake so that it gets the afternoon and evening sun, and is located just north of Penticton, so it is an easy wine destination to visit when you are in Penticton. What were my interesting wine and appetizer picks from this evening’s event? D’Angelo Estate Winery Viognier 2009. This is the first release I am told of their Viognier. Flowery, peach and sweet spice on the nose. Light body with peach and honey flavour, and a streak of minerality through it. Medium length. A nice first try at Viognier. Elephant Island Orchard Wines Pink Elephant Methode Classique Sparkling Wine 2009. This sparkler is made from Granny Smith apples with a cassis dosage. This is a fun wine to drink with friends. Bright cherry and cranberry nose and flavour. Hillside Estate Winery Unoaked Pinot Gris. I think this one is 2009 vintage. Light stone fruit nose. Medium acidity with red apple and peach flavour. Nice round mouthfeel. Something for this summer. Lake Breeze Vineyards Seven Poplars Sauvignon Blanc 2010. Here is a very good example of a New World style Sauvignon Blanc. Pale lemon in colour. Herbal and asparagus aromas in the glass. High level of acidity up front with herbal flavours. Nichol Vineyard & Estate Winery Gewurztraminer 2009. Pale lemon in colour. Apple, lychee and cherry blossom nose. Light body with apple and cherry flavour with a bit of spice on the finish. A nice dry Gewurztraminer. 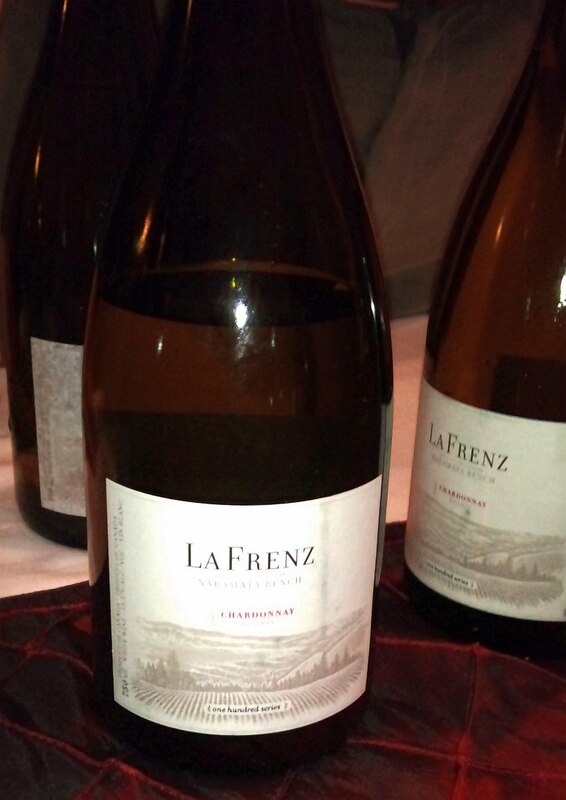 La Frenz Winery Reserve Chardonnay 2009. Pale lemon in the glass. Lots of vanilla with a hint of eucalyptus / menthol. Nice acidity. Round mouthfeel with pineapple and spice. Black Widow Winery Pinot Gris 2009. Pale lemon with very light peach nose. Medium body with light peach flavour and spice on the finish. Nichol Vineyard & Estate Winery Pinot Noir 2008. Light garnet with a nice flowery nose. Sour cherries and ripe raspberry flavours with spice on the finish. Medium body and low tannins. 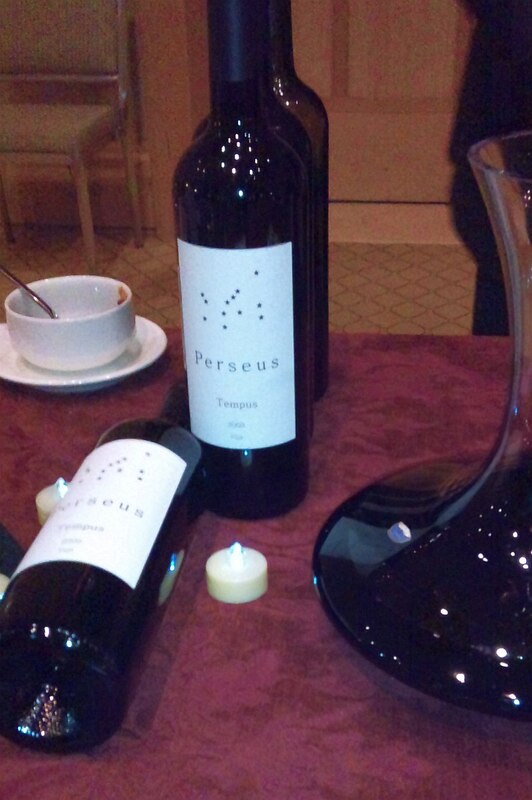 Perseus Winery Tempus Syrah 2009. I finally was able to taste some of Perseus’ wines. I wrote about them in a blog article a few months ago. This syrah is deep purple in colour. Vanilla, earthy, and dark fruit aromas. It is full bodied with dark fruit and lots of minerality. Very silky tannins and a long length. Poplar Grove Winery Legacy 2006. Legacy is a Bordeaux blend consisting of 70% Merlot, 6% Cabernet Sauvignon, and 24% Cabernet Franc. Opaque garnet in colour. Leather and cherry aromas. Full body with ripe black cherries and vanilla. Medium tannins with a long length. A very nice wine. Serendipity Winery Pinot Noir 2007. If you haven’t heard of this winery, neither have I. I found out that this is indeed a new winery to the Naramata Bench, located next door to Therapy Vineyards. This Pinot Noir had a bouquet of roses, vanilla and tea leaves. Light body with vanilla, strawberries and red cherry flavours. Low tannins. Van Westen Vineyards Voluptuous Merlot / Cabernet Franc 2007. Opaque puple in the glass. Ripe cherries and vanilla with a hint of cedar on the nose. Full bodied with firm yet smooth tannins. Ripe black cherry flavour. Van Westen Vineyard Malbec 2009 barrel sample. This barrel sample is the only opportunity you would have had to try this wine, as it will never be bottled as a single varietal wine. You will find it in a couple of years coming out in a new Bordeaux blend by Van Westen. This Malbec was opaque purple. Chocolate, and vanilla on the nose. Legs on the glass so quite high in alcohol, but the wine was not hot. Very smooth with cherry and chocolate flavour, and I think a hint of cedar. Nice and round in the mouth. Howling Bluff Estate Winery Summa Quies Estate Pinot Noir 2009. Pale garnet in colour. Beautiful violets and strawberry aromas. Soft, light bodied, with vanilla, strawberries and ripe cherries on the palate. Highly recommended. Kettle Valley Winery Merlot 2008. This is one of the barrel sample wines. Opaque purple in colour. Vanilla and cherry aromas. Dry but with soft tannins. Red apples, black cherries and vanilla flavours. Very nice. O’Douls Restaurant & Bar, oven-dried tomato bruschetta with basil aioli. Lots of tomato, basil and garlic flavour. Creamy texture with crunchy bruschetta. This was paired with the Black Window Winery Pinot Gris 2009. The Pinot Gris needed a bit more body and flavour to match with the bruschetta, but a good attempt. Hamilton Street Grill, smoked halibut on crostini with blood orange & olive oil. This was paired with the La Frenz Winery Reserve Chardonnay 2009, and was excellent together. The smokiness and firm texture of the halibut paired well with the vanilla and pineapple flavour of the wine plus the acidity of the wine kept things nice and fresh. Edible at the Market, citrus marinated side stripe shrimp salad with Fraser Valley watercress, ginger honey & wasabi leaf puree golden char caviar. A very classy salad. Went well with the Lake Breeze Vineyards Seven Poplars Sauvignon Blanc 2010. The acidity cut through the richness of this shrimp salad. Westin Bayshore Hotel, spiced lamb kofta with crisp parsnip and blackberry gel. I just enjoyed this dish on it’s own. The kofta was mildly spiced. Vij’s, garam masala beef curry with coconut green beans. This one was also tried on it’s own at the end of the evening. I really like the sweet spices from garam masala. The green beans added a firm texture to the beef, which was quite tender. The dish was quite spicy. The suggested pairing was the Poplar Grove Winery Chardonnay 2009. The La Frenz Winery Reserve Chardonnay 2009 or the Red Rooster Winery Riesling 2010 may have also been good pairings with the curry. The District, house smoked steelhead mousse with Italian crostini. This dish was creamy and smoky. Delicious on it’s own. A bit too strong for the Van Westen Pinot Gris. Again, I may suggest trying this with the La Frenz Winery Reserve Chardonnay 2009. I did not get a chance to try all the wines and appetizers, but if you were there and found an exceptional pairing, please post a comment. I enjoy hearing what other people have to say as well. Enjoy! The second day from the Vancouver Playhouse International Wine Festival is now finished. A lot of wine again today to taste. But still probably more than half the wines haven’t yet been tasted. I did visit many nice wineries and tasted some interesting wines from around the world today. As I had mentioned in my previous blog article, today I would taste wines from the rest of the world, and then at the end try some Spanish wines I had missed. Again to keep things brief, here is my 2nd list of recommended wines to try at the #VPIWF. After the festival is over, I’ll post full tasting notes for these wines and others that I have tried on www.MyWinePal.com. The wines below range from white, red, sparkling, and fortified. That is a lot of recommendations, and a lot of wines to try in one day. There were many more that are also good, but did not make the list. I wish I had another day or two so that I could try the rest of the wines from the Festival. Today’s agenda for me is New Zealand Perfect Parings, Good Gracious Grenache seminar, and Cinq a Sept French wines. Check back tomorrow for a short article on these. Enjoy the remainder of the Vancouver Playhouse International Wine Festival, and remember to check out the Vancouver Playhouse and what they have to offer! Support the arts. 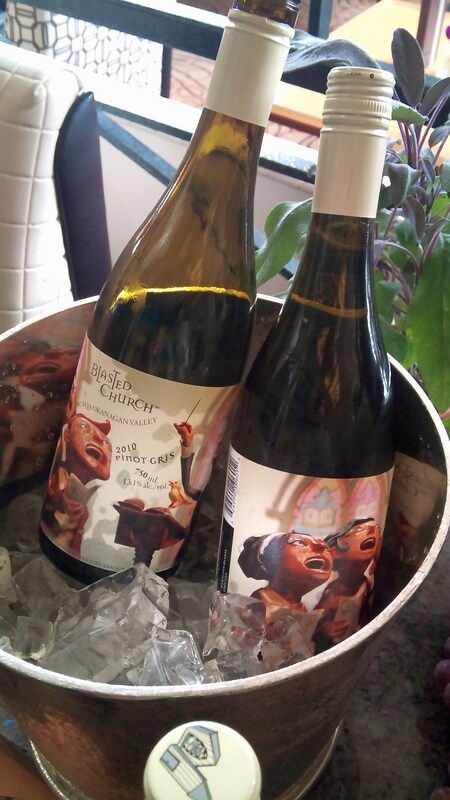 Have You Tried Volcanic Hills Wines? Volcanic Hills Estate Winery in West Kelowna is one of the newer wineries in the BC scene. I visited them last summer, as they had recently opened. This past week, Volcanic Hills wines came to Vancouver, so I have had the good fortune of trying their wines again. If you have not heard of Volcanic Hills Estate Winery it was formed by the Gidda family, who were partners with the Mt. Boucherie Winery. Teaming up with long time Okanagan winemaker, Elias Phiniotis, in 2009 the Gidda family is aiming to craft complex wines that will excite your taste buds. Volcanic Hills Estate Winery Gewurztraminer 2009 ($17.90). This is a very pretty wine. Medium golden in colour. Lots of fruity aromas from this wine! Lychee, honeysuckle, apple and spice on the nose. Medium body with good acidity and long length. On the palate there was lime peel, lemon, and almond flavours. A really nice wine. Highly recommended. Volcanic Hills Estate Winery Chardonnay Icewine 2009 ($49.90). Deep lemon colour in the glass. Very aromatic bouquet of honey, caramel and orange. Medium plus in body, sweet with marmalade, orange, honey, and apricot flavours. A bit of nuttiness on the finish. The wine has very round mouthfeel and a good amount of acidity to balance out the sugar. 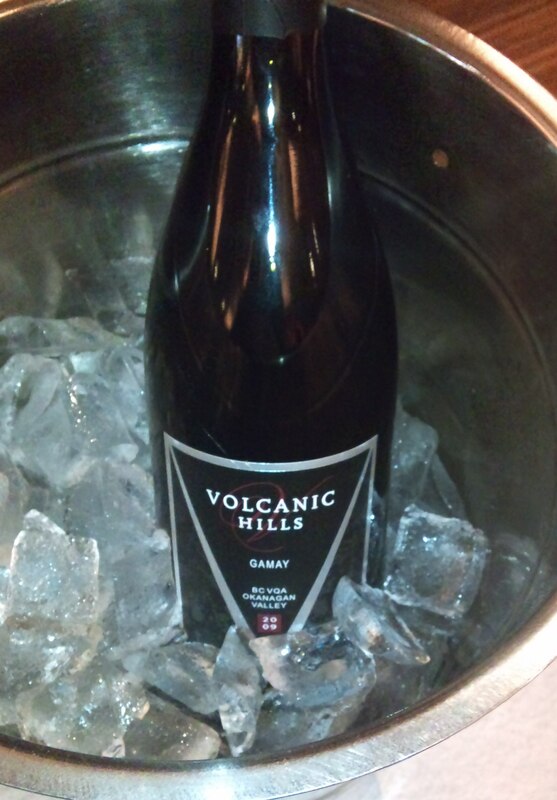 Volcanic Hills Estate Winery Gamay Noir 2009 ($12.90). An unbelievable price for a single varietal wine from the Okanagan. This is a nice light bodied wine that you can serve slightly chilled. The wine was pale cherry in colour. Restrained aromas of red cherry and red currants, and a hint of smoke. On the palate there was violets, roses, cherries, black pepper and a bit of spice. Refreshing acidity and quite a long finish. Maybe try this in place of a pinot noir when you are serving duck breast or grilled lamb chops. Volcanic Hills Estate Winery Magma Red Blend ($14.90). There are at least 3 red grape varieties to this blend. On the label the grapes are listed as Foch 50%, Pressed Reds 30%, and Michurinetz 20%. I am guessing Pressed Reds could have come from a vineyard that had a field blend, so they are not sure how many, and which varieties are there. This is a fuller bodied wine than the Gamay. Medium purple in colour. Aromas of strawberry, currant and also a bit of smokiness. Quite high acidity on the palate. Flavours of strawberry, raspberry, red currant and cherry. Low tannins with a spicy finish. If you are planning on doing an Okanagan wine tour this summer, think about visiting Volcanic Hills. Enjoy! Living in Vancouver, you may not realize that there are many wineries in Richmond and the Fraser Valley. 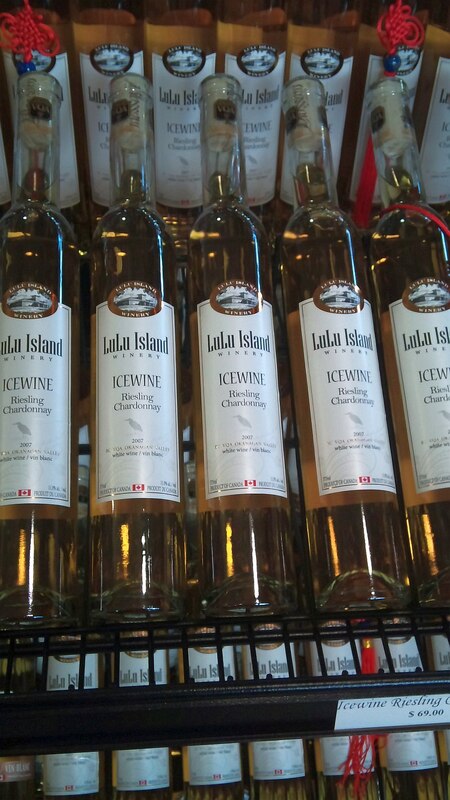 Lulu Island Winery, located in Richmond, started it’s life as Blossom Winery producing fruit wines, and now has blossomed into Lulu Island winery, producing a wide range of grape and fruit wines. They celebrated their Grand Opening at the new winery July 3, 2009. I attended the Grand Opening and have the review of that great day here. For my current tasting and tour, I was met by Heather Turnbull from Lulu Island Winery. We started off viewing part of the vineyards that are behind the winery building. There were a few different varieties planted. One for sure was pinot noir, which they think will do well in our cool, maritime climate. The fermentation room with the gleaming stainless steel tanks were next. When I was first there in 2009 at the Grand Opening they had 3 tanks. Now there were around 10 tanks (sorry I did not count the exact amount). So things are progressing well for Lulu Island winery. It is nice to see success. B efore moving on to the tasting, the last thing Heather showed me, and talked to me about was the Vancouver 2010 Winter Olympics. 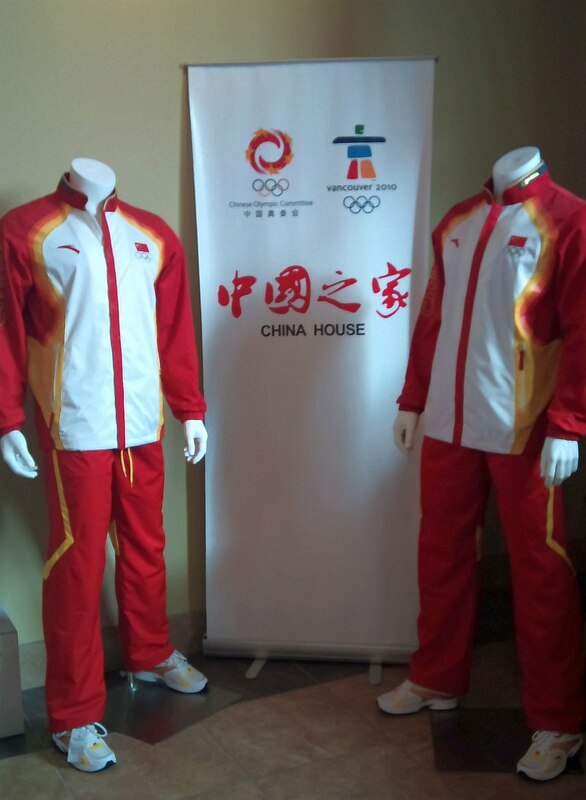 During the Olympics, Lulu Island winery was the Chinese Olympic Delegation house “China House“. Various Chinese products and producers were at the winery, along with athletes, food, and more, to help promote China to everyone celebrating the Olympic Games. There were a few remnants of the Games left there still; some red lanterns, and a display showing the Chinese athletes’ outfits. I really enjoyed the Olympics. I was a volunteer, working at the curling centre. I did see the Chinese women’s team play against Team Canada. Now for the wine tasting. I tasted 11 different wines, but to keep to blogging brevity, I’ll outline a few of my favourites. Their Gewurztraminer 2009 ($16.97) is light lemon in colour. Off-dry with lychee and sweet red apple flavours. Medium- body and medium length. An easy sipper. My overall favourite red wine is their Petit Verdot 2009 ($18.95). Medium purple in colour. Rich cassis nose. Rich, ripe cassis and cherry flavours. Medium body. Vanilla on the mid palate. Medium length with a light bit of spice on the finish. The winemaker’s favorite wine is his Meritage 2009 ($31.95). The Meritage is a blend of Merlot, Cabernet Franc, Cabernet Sauvignon, and Petit Verdot. It is deep garnet coloured in the glass. Bright cassis and fruit on the nose. Lots of cherries on the palate. Slightly herbal, with vanilla and oak flavours as well. Medium tannins with a dry cherry finish. If you like sweeter wines, you may want to try their Iceder ($31.95). This is a blend of apple cider and ice wine. This had a medium golden colour. Nice apple aromas. Very round mouthfeel and velvety. Good acidity to balance the sugar, making a refreshing apple flavoured wine with a long finish. Give it a try. I hope you get a chance to visit Lulu Island winery. It’s nearby, so try it for a Saturday or Sunday weekend visit. Enjoy!